Its National Candy Corn Day! It’s that time of year again, and Halloween is upon us. When you think of Halloween candy, there is one candy that comes always come to mind (although we wish it didn’t); that’s CANDY CORN. Candy corn has been around since the 1880’s, and I bet you didn’t know the recipe hasn’t changed since then. That’s over 100 years! It was invented by a Wunderlee Candy Company employee named George Renninger. Wunderlee first produced the candy, followed by the Goelitz Candy Company, which is now Jelly Belly. Back then, the cooking process was done by hand; a sugar and corn syrup-based mixture was cooked into a semi-liquid mixture and dumped into buckets. Men then would pour the hot concoction into trays to mold and shape into kernels. 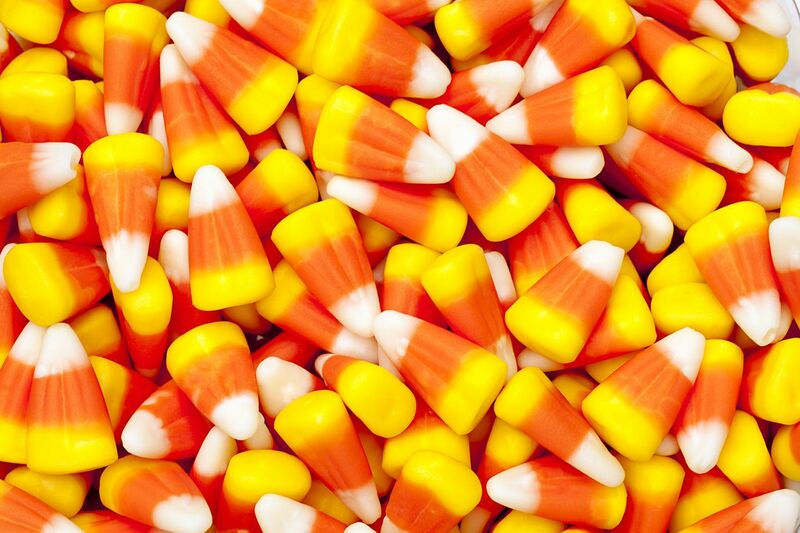 Well, here are 8 more facts about candy corn you didn’t know! It was once called Chicken Feed! One of the earliest names for the candy was called chicken feed, which is how it was initially marketed when it came out. They changed it to candy corn- more appetizing to the tummy. Only a handful of companies actually make the candy. It might seem like this stuff is EVERYWHERE during Halloween, but only a few companies actually manufacture and distribute candy corn today, Jelly Belly being the largest of them all. BILLIONS of Kernels are sold annually! Depending on who you ask, confectioneries like Brach’s sell anywhere between 9 billion and 15 billion kernels of candy corn annually. Clearly someone is a fan, we aren’t really sure who…. Candy corn is actually one of the least unhealthy candies on the market. While it’s traditionally made with honey and corn syrup and contains about 28 grams of sugar per serving, its fat free and only 140 calories per handful! So if you are looking to stay fit and healthy during the Halloween season, candy corn might just be your best friend 😊. It is one of the most hated Halloween candies out there. There is this big mystery surrounding candy corn and how it become such a popular staple of Halloween, when nobody seems to actually enjoy eating it. Its proven market research too. Last year, a poll of candy consumers were asked by a market research firm to name their favorite treat brands. By far, candy corn was the “most polarized brand and generated the most negative feelings”. Lots of people are crafting with candy corn instead of eating it. 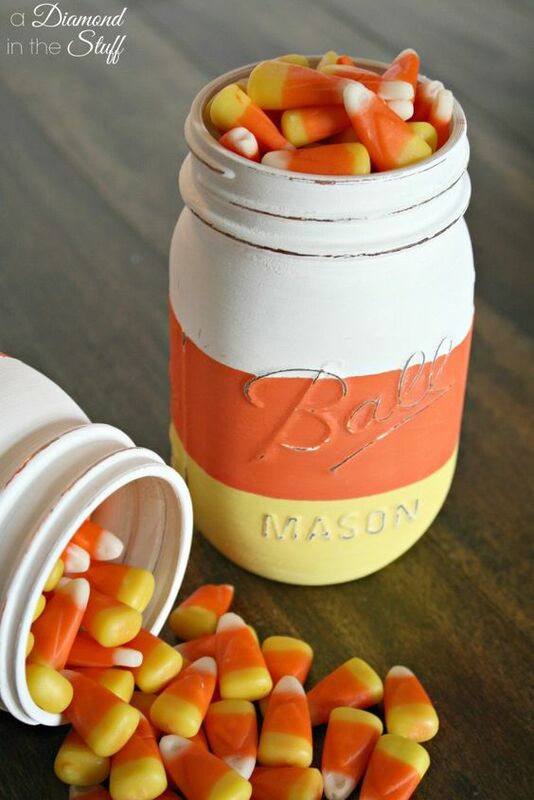 Because it is one of the most hated Halloween candies out there, but definitely a staple for Halloween and the fall season, many people have gone to crafting with Candy Corn. Check it out! The original candy corn wasn’t targeted at trick-o-treaters. Halloween has a centuries long tradition of costumes, pranks, and treat-begging. Chicken feed, candy corn was intended to appeal to America’s largely agricultural roots. Confectioners, hoping to tie to the farm-and-harvest spirit at the turn of the 20th century, also turned out candy pumpkins, turnips, chestnuts, and clover leaves. The original candy corn was advertised as a treat to be eaten all year round. Not everyone eats candy corn the same. Of those who actually eat it, one poll showed that 43% of us nibble, nipping off the narrow white end first. On the contrary, 10% prefer to start at the larger yellow end. 47% simply pop it into their mouth and eat them whole. According to the 2013 National Confectioners Association survey, when it comes to Halloween treats, 72% of Americans much prefer chocolate. Candy corn trailed behind in second place, the choice of a slim 12%…. 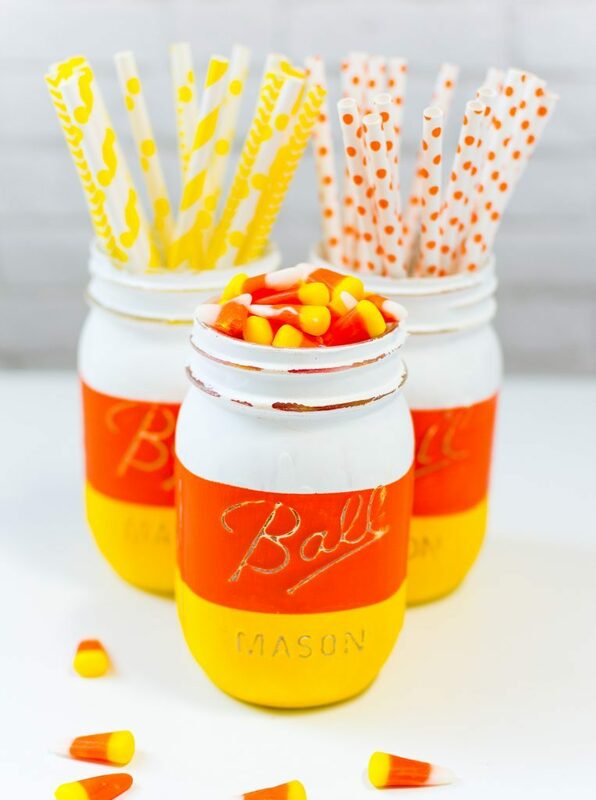 All you need are some mason jars, paint, and of course, candy corn! 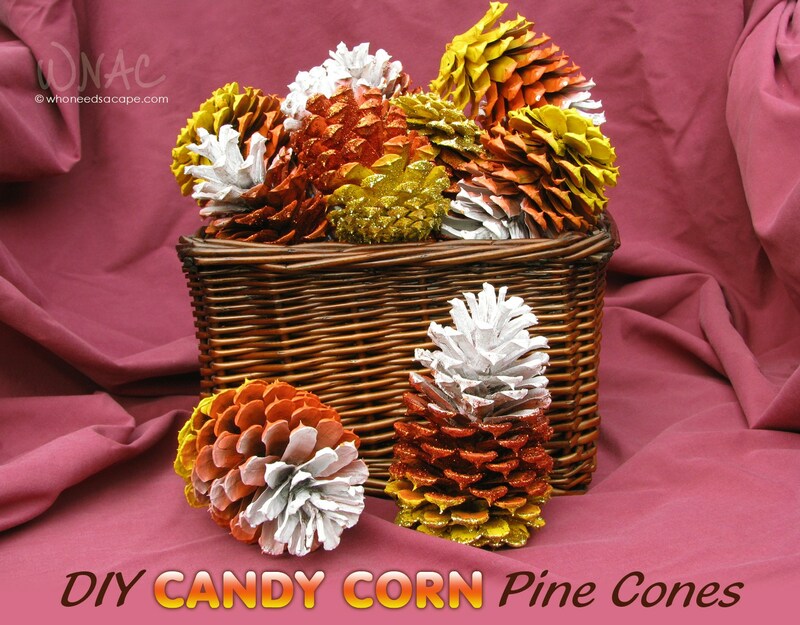 Candy corn pine cones are a great way to get some decorative color in your office during the Halloween and fall season. They are super easy to make and they smell great too!